It's nearly here - the moment you've been dreading. Soon you'll have to do one of the hardest things any parent has to do: say goodbye to the child you've nurtured and protected since they were born. I've always hated saying goodbye. And with my kids I've never got it quite right - even with years of practice. 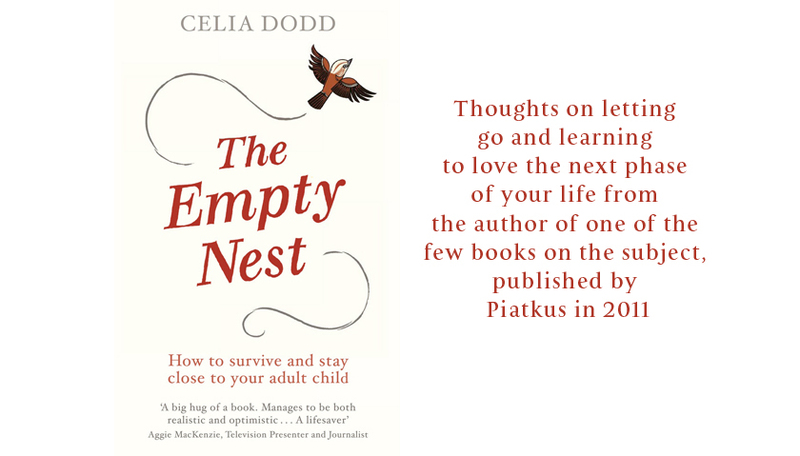 But I have picked up some helpful tips from other empty nest parents which should make things easier for you - and your child. Before he/she leaves, write a note or a card which says the things you'll probably be too choked up to say when the dread moment arrives. Slip it into their bag to find when they're unpacking. Play it by ear: It's hard to predict whether your student will want you to leave immediately or hang around. And even when you've got there it's often hard to tell from their body language what they want you to do. I always felt I got it wrong: I should have stayed longer/I should have left earlier…..but the truth is, it's pretty impossible to get this right! ...for a night nearby. That way you'll be around if they want to go out to dinner. But make your own contingency plans for your evening too - check out movies and concerts beforehand - because with any luck you'll be spending the evening alone while they go out with new friends. And the last thing you need is to be drowning your sorrows with only the mini bar for company. This is their chance to make new friends. So leave them to it. Slip away to the shops/cinema/caff and text later to see how they're getting on. Make an excuse to talk to your child alone. Saying goodbye in front of a group of students makes everyone even more tense. And if you start sobbing, it could be embarrassing. Airport goodbyes have got to be the hardest, because they're super-charged with emotion. Suddenly your child is off through the security gates and you're not going to see them for a year. Don't prolong the agony (as I always did - big mistake) by lingering around for the final glimpse of that precious back. And if you need to have a quick sob in the loo before you embark on the journey home. DON'T get too hung up about NOT crying in front of your child. On balance, it's probably best to fight back the tears and it's definitely a bad idea to have a total meltdown in front of them - save that for the journey home. But experts like the wise psychotherapist Phillip Hodson says a few tears are fine; kids like to know they'll be missed. 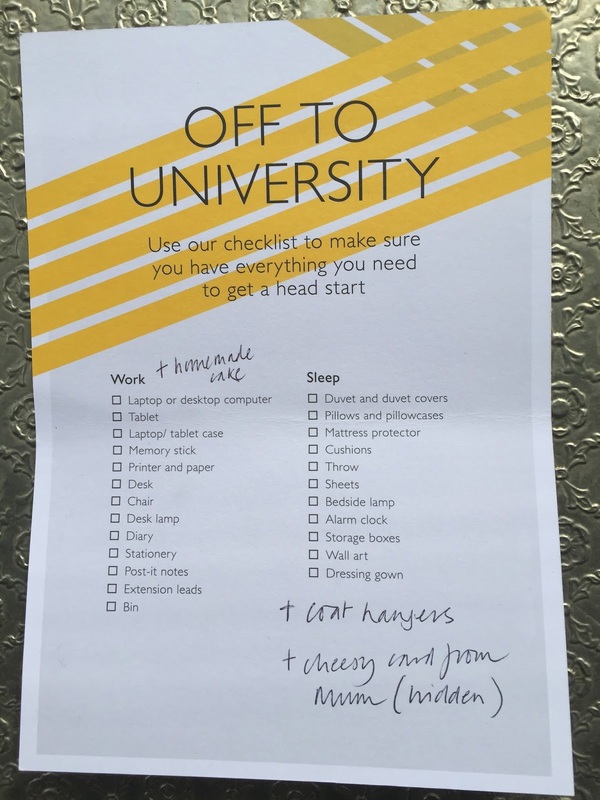 You can't move at this time of year without offers for student starter packs and comprehensive checklists (thanks for this one, John Lewis). It all feels quite comforting. It makes you feel like you're in control when inside you're seriously panicking about what the future holds. It's a way of fending off the terrifying notion that you've done your job: from now on you'll have to let your child make his or her own mistakes. something comforting from home. A recent survey found that nearly a third of students take their old teddy. And OK, this is cheesy, but what they really need is to know that you'll always be there when they do make their own mistakes. Everyone reacts differently when their kids first leave home. Some parents take it all in their stride - they just get on with the next thing. But most of us go through a confusing mix of emotions - sadness, grief, pride, relief …. When each of my children first left I felt weirdly disconnected - not just from them, but from my whole life. It seemed so strange that the person who started life inside me - protected by my body and in those first 18 years by my love - was now out in the wide world, beyond my care. Even though I loved my work my kids were the beating heart of my life. For me the first couple of weeks were a matter of simply getting through - I cried a lot, felt a bit pointless and got seriously addicted to Deal or No Deal. It filled that hole in the afternoon when I used to hear my daughter's key in the door. People tell you to keep busy. It's true, it helps. But it's also important to allow yourself time and space to acknowledge what you're feeling about what's going on in your life. Have a good cry and then phone a friend or go shopping. Think about the simple things that make you happy, and make sure you do at least one of them every day. For me that's knitting and reading a really good book. This one's tough: Try not to think too much about your son or daughter and when you're next going to see them. Instead, shift the focus on to you, and what you really enjoy doing. Make a list of stuff to do before the Christmas holidays. Find something new to nurture: grow veg, take in a student lodger. But don't get a dog - bad for spontaneity. 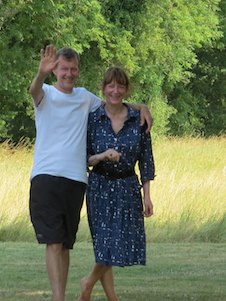 Get in touch with old friends you've been meaning to ring…. Don't beat yourself up about making the most of your free time. This is one of the biggest adjustments parents have to go through, and it takes time. Give yourself a massive pat on the back: launching your child into the world is a huge achievement - one that is not acknowledged enough. We should celebrate it more. I've just read an extract from Dr Tim Lomas' latest book, The Positive Power of Negative Emotions (Piatkus). In it he talks about the good side of our most 'negative' emotions - boredom, guilt, anxiety. He says the loneliness of the empty nest should be viewed as a highly productive 'oasis of calm', with potential for real independence. 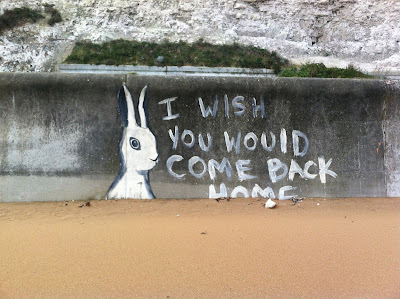 So take heart if your child has just left. It may take a while to find a new direction - but it really is the unexpected silver lining. My husband loved this wall. It separated the playroom from the telly room and gave him a private space to practise the piano. In fact he loved the wall so much that for 29 years he refused, point blank, to knock it down. Finally I persuaded him. The wall's gone. It used to feel so sad, the prospect of staying in the house where the kids grew up, with just the two of us instead of five. The place was full of memories - good and bad. You could feel the kids' absence in every room. And when they first left I didn't feel like redecorating. The dust needed to settle. Anyway what was the point? We might move, downsize, like so many empty nest couples. Moving is a much clearer statement that you're moving on yourself. I don't rule it out. But for the time being a revamp feels just as good as a move. The memories are still in the ether, but they've been scattered to make way for new ones, a different energy. The blood's still on the walls, but it's been covered with a fresh coat of paint. This feels like a brand new start for a totally new kind of life.